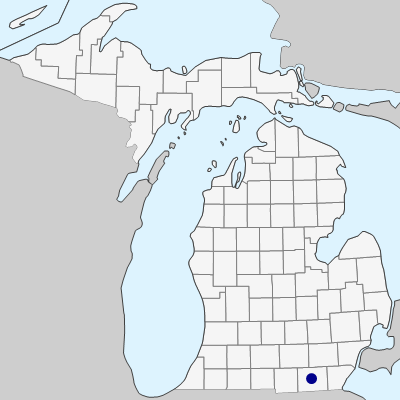 A large shrub or small, bushy tree presumably adventive from slightly farther south into a fencerow in Lenawee Co., where first collected by A. W. Cusick in 1992. 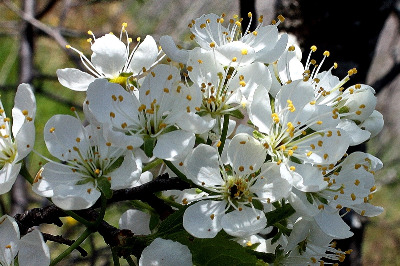 This species somewhat resembles Prunus nigra, but with smaller flowers, more long-acuminate leaf tips, and greenish floral tube and sepals; it may be overlooked in southern Michigan. MICHIGAN FLORA ONLINE. A. A. Reznicek, E. G. Voss, & B. S. Walters. February 2011. University of Michigan. Web. April 24, 2019. https://michiganflora.net/species.aspx?id=2831.